Break out your grills, lawns chairs and festive food, because it’s summer time again! Summer is always a great time to celebrate with friends, family and furry ones alike. Like many of us, you may anticipate catching a fireworks show too. 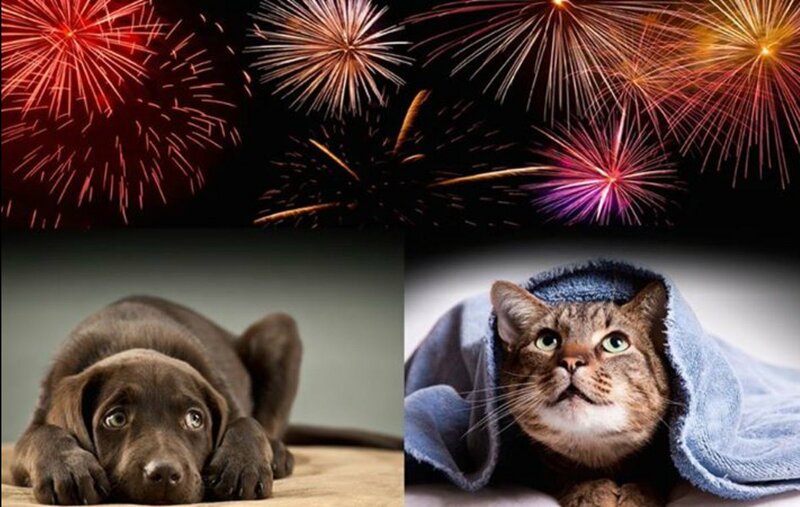 While fireworks are a longstanding tradition for many on summer holiday, for some pets, fireworks are not a reason to party, but a reason to panic. Some four legged friends though don't always appreciate the festivities. However, with a little planning, you can ensure that your pet enjoys the festivities just as much as you do. If you and your veterinarian do decide that anti-anxiety mediation is your pet’s best bet, there are a few things to remember. First and foremost, give a practice dose of the medication before the big night to see how your pet responds to the medication. Second, never share the medication with another pet or give more than the recommended amount. If you do, you may end up spending the holiday at your local veterinary emergency clinic. While cats are typically a little smarter than this, some dogs will eat anything, regardless of how it tastes—including fireworks! Never underestimate your pet’s level of curiosity. Fireworks contain several types of chemicals and heavy metals. If you set off fireworks at home, make sure you thoroughly clean up the area before letting your dog have access again.